The Vuze Bittorrent Client for Mac (previously Azureus) is an end-to-end software application for all your torrent needs. 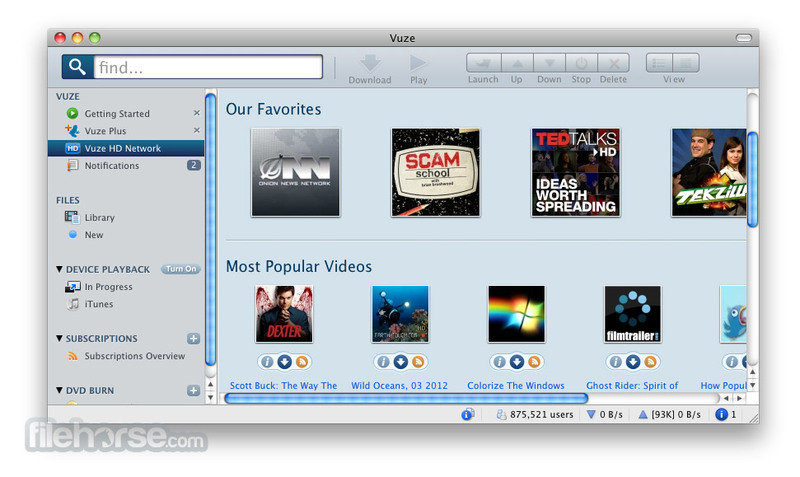 Although it is a complete bittorrent downloader, the Vuze program maintains a lightweight footprint, doesn't slow your computer down, and quickly downloads torrents. The Vuze torrent downloader for Windows or Mac makes it easy for you to find torrents online, whether you are downloading torrents from a tracker site, from a friend via magnet links, or anywhere else on the web. 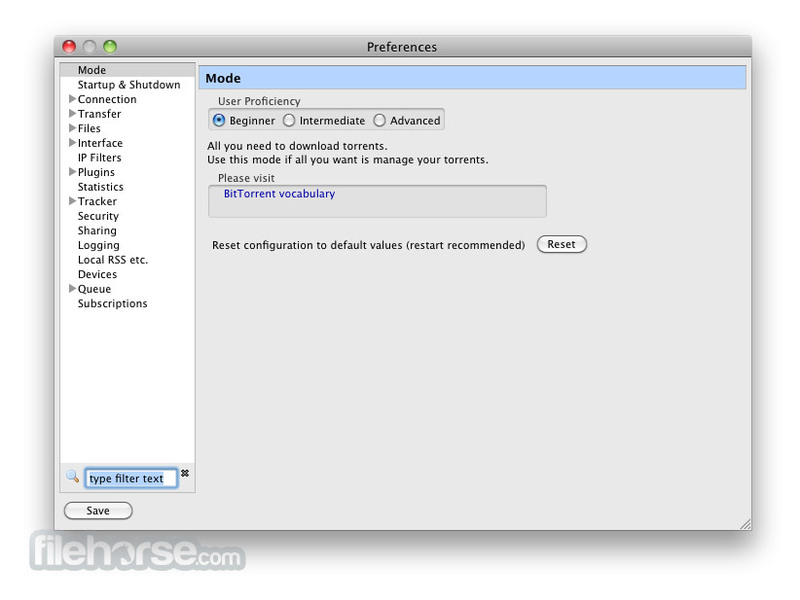 Once you find a torrent the Vuze for Mac Bittorrent Client makes it simple to download torrents and automatically optimizes torrent download speeds. 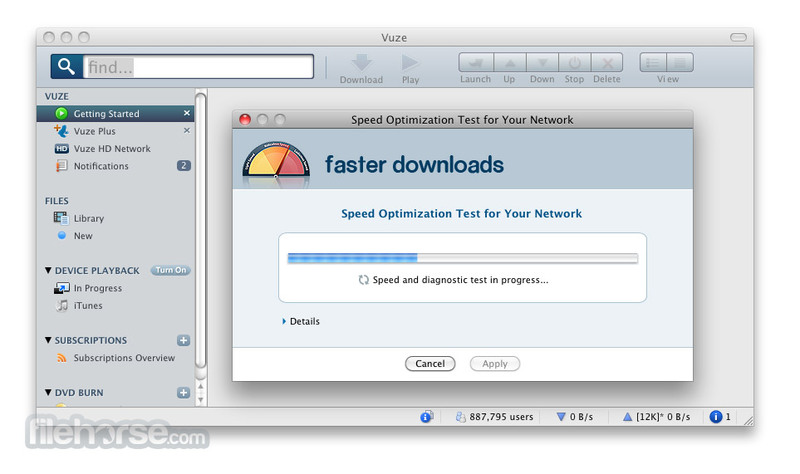 The built-in Vuze torrent download manager lets you view the status of each of your bittorrent downloads. Once your downloaded torrents are finished Vuze makes it straightforward and simple to watch and listen to the content you downloaded. Vuze simply covers anything you'll run into when downloading bittorrent torrents. Download the best torrent client and downloader in one today!